As much as it pains me to do this while I still haven’t even started digesting last week’s election, I have been forced by UDN and China Times to start a page showing presidential race polling results. Can we wait a while before we start that race? Please? I only want a month or two. I’m just not psychologically ready for the next election to start yet. In my immediate post-election reaction, I paid a lot of attention to the numbers of votes gained by the KMT and DPP. However, as I’ve slowly digested the election outcome, I wonder if I’m putting too much weight on that. The point of an election is to win office, and the KMT won three of them. All of those DPP votes over the last two years haven’t translated into many public offices. Even now, if the presidential election were held tomorrow, my gut tells me that Ma would win a second term by a narrow, narrow margin. Again, all those votes might not translate into any concrete gains in power. 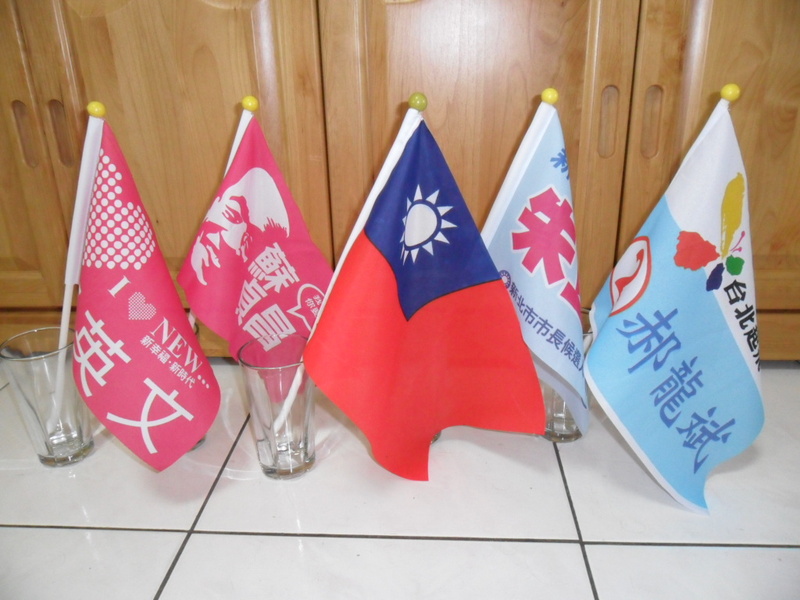 The most important fact of this election is that the KMT won Taipei, Taichung, and Xinbei. It will hold those seats for the next four years no matter how public opinion evolves. Moreover, if public public opinion starts to swing back toward the KMT, this DPP wave, which produced lots of votes but not much political power, will have very little to show for it. The votes give a hint of how public opinion is now and might evolve over the next two years, but they do not guarantee any future results. Maybe the KMT got the cow and the DPP got the magic beans. The only problem for the DPP is that magic beans are rarely actually magic. I’ll take the cow. Just for fun, here is some of the election swag I collected this year. (Q: Is the word “swag” used in any other context, or is it specifically about election paraphernalia?) I took out all the duplicates, so all of these are different flags. Alas, I did not get out of Greater Taipei this year, so there are no specimens from Taichung, Tainan, or Kaohsiung in my collection this year. Lots of flags and some other stuff. Here they are spread out a little more. Mayoral candidates. Su’s flag comes in pink, green, blue, and orange. I thought that pink was the most appropriate color for this photo since Su wore a pink shirt to de-emphasize his DPP affiliation throughout his campaign. Yes, the one in the middle does double duty as a campaign flag. But only for one side. Finally, Frozen Garlic must note a deplorable trend. Several city council candidates chose not to produce hand-held flags this year. 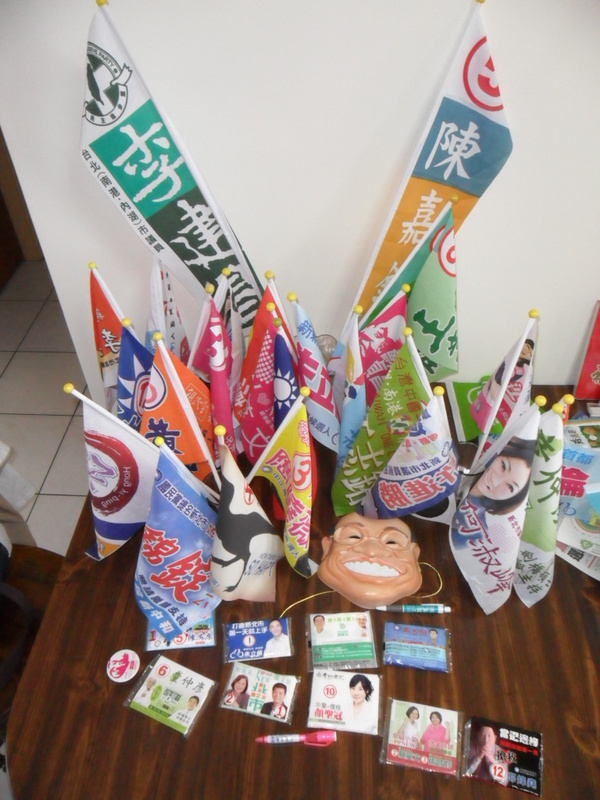 This was especially common among DPP candidates, which is the main reason my collection skews toward the KMT this year. Frozen Garlic officially condemns this lack of public spirit among candidates for political office and hopes that future candidates will not continue down this road toward drabness. It is a scientific fact that people shout “Frozen Garlic!” with 73% more enthusiasm when they are holding a flag in their hands, and they are 229% more likely to vote for a candidate if they take that candidate’s flag home with them. When I heard about the shooting, I only had two predictions. 2) Almost everyone would insist that the incident had a major effect on the election result. Many of my expectations for the election were wrong (no big surprise), but not these two. It may not shock you to hear that I think both of these arguments are a bunch of baloney. Before the votes were counted, I had no idea what the effect would be. On the one hand, the story that most people are telling now is that the incident was very advantageous to the KMT. The shooting inspired sympathy for Lien, and mobilized lots of otherwise lethargic blue camp sympathizers to come out and vote. Maybe it reminded them of the 2004 shooting incident and aroused their sense of partisan indignation. Also, the news completely wiped away all the media coverage of the DPP’s big events on the last night, so any atmosphere of a huge DPP wave was destroyed. On the other hand, who would be sympathetic to Lien Sheng-wen? When he bandied about the idea of running for a seat in the legislature a few years ago, the DPP salivated at the thought. They thought that Lien Sheng-wen might be their best (only) hope for winning the Da-an District seat. The KMT nominated an uncontroversial party footsoldier instead. Also, it seemed pretty clear within a few hours that the incident had something to do with organized crime. If the incident shifted voters’ focus to organized crime, that would be a big help to the DPP. There are always people who will tell you that something affects “those people.” Until I hear someone tell me it affects their own behavior, I’m not going to believe it. Believing that other people are unreasonable or irrational sheep is usually a sign of lazy thinking, and it tells you more about the speaker than about the people he is talking about. There is one other reason that the DPP loves this narrative: it absolves them of responsibility for their losses. They can say, we were going to win until the last moment. We were just unlucky. (Or, Damn KMT and their dirty tricks.) The DPP did quite well in the elections, but the expectations were extremely high. The shooting gives Tsai one more reason not to resign as party chair and makes both Su and Tsai look a bit better as they reposition themselves for 2012. Here is my immediate reaction to the election. 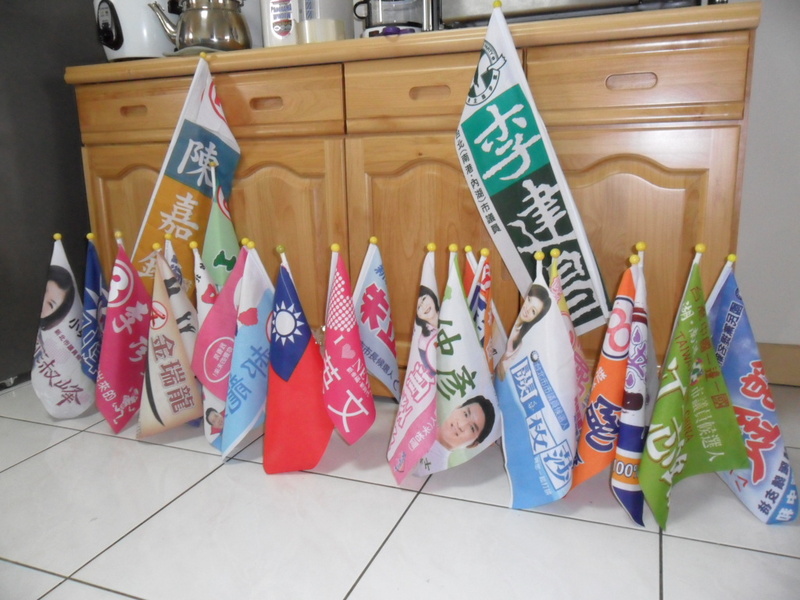 Chen Shui-bian’s One Country One Side Alliance won 30 of 37 city council races. That’s pretty good. Election “predictions” are a ridiculous proposition. No one knows what will happen. I don’t, you don’t, and neither does your friend who insists that he knows someone on the inside, because the so-called insiders don’t know either. We are all just guessing. How many of these eight will win? I guess five (Chen, Chin, Wang, Wang, and Tang). Over the past few weeks, I have heard a specific narrative about turnout many, many times. Most people argue that high turnout is good for the KMT because DPP supporters always turn out to vote while KMT voters are more fickle. Sometimes they will vote, and sometimes they won’t. I suspect that this narrative is completely wrong. Turnout is an incredibly hard phenomenon to study. We all know that mobilizing your voters is a key part of the election game. If you can get a high percentage to the polls and your opponent can’t get many of his supporters to vote, you have a huge advantage. However, the final number that we see is the combination of both these groups mixed together. You can’t really study this with opinion polls either. For whatever reason, the results you see in opinion polls don’t look anything like the actual election results when it comes to turnout. Reported turnout is always much higher than actual turnout in both pre- and post-election surveys. That is a way of saying that I don’t have any good evidence to back up my ideas, but neither does anyone else. I think the lack of hard evidence is part of what is driving the narrative. I think the turnout narrative is driven by lazy thinking. It emanates primarily from people in the blue camp (though I have heard it repeated by people in the green camp as well), and I think it reflects a blue camp perspective of the turnout problem. People always have a tendency to think that their own problems are more daunting than those of their opponents. For blue politicians, turnout is one of the major components of a traditional campaign. You put together a large, complicated, and expensive grassroots network of people, and you spend a lot of energy and money motivating those people to go to the polls and vote for you. Blue politicians must look at the green camp with envy. Green politicians traditionally have much, much less organization at the grassroots level, and yet their voters somehow show up at the polls. It would be easy to conclude from this that green voters are ideologically motivated (read: fundamentalists) and always show up to vote. Blue voters, in contrast, require a lot of work. This narrative has blue supporters wringing their hands in anxiety. As one radio commentator put it, “If the weather is bad, people will stay home. If it is too good, they will go out and play somewhere. Why can’t our voters be more like those fundamentalist DPP voters?” Note that this also makes a nice message for the last few days of rallies: the other side is going to turn out in force; we have to match their intensity. Several years ago, I seem to remember a similar message, but it came from the other side. It was the KMT that had iron voting brigades, and DPP supporters wondered how they could ever overcome that obstacle. In fact, the KMT military or government villages made up only a small part of the electorate in most districts, just as the DPP fundamentalists account for only a portion of the electorate today. Everyone tends to emphasize the difficulty of their own challenge. I recently spent a few hours combing through Taipei City electoral data looking for evidence of a rock-solid DPP vote and a variable KMT vote. I looked at data at the li level from 2002, 2004, and 2006. This includes high and low turnout elections and good and bad KMT elections. If this turnout narrative is correct, there should have been some discernable patterns, with strong KMT li behaving differently than strong DPP li. Now, as I said before, turnout is notoriously difficult to analyze, and I doubt I got everything specified correctly, so I’m not going to present any data here. I will just note that every time I managed to find a statistically significant pattern, it was in the opposite direction as expected. In other words, every time something showed a clear pattern, it seemed to indicate that higher turnout helped the DPP, not the KMT. However, I’m not at all confident that I did any of this correctly, so let’s leave it at that. A quick glance at the data is probably better evidence against the narrative. The total number of blue camp votes goes up and down in various elections, but so does the total number of green camp votes. I simply don’t see any rock-solid green vote that always turns out. Some of the highest turnouts in Taiwanese electoral history produced pretty good results in Taipei for the DPP, including the 1998 Taipei mayoral campaign and the 2004 presidential campaign. The 2002 and 2006 mayoral campaigns, in which the DPP did relatively poorly, had relatively lower turnout. In fact, the DPP spends a lot of energy on turnout; they just do it in a different way from the KMT. Instead of building a grassroots organization that will contact individual voters, the DPP excels at wholesale politics. All those enormous rallies are not about changing minds, they are about increasing turnout. At any rate, I believe the general proposition that high turnout is good for the KMT because KMT voters are more fickle is a lousy one. That said, I don’t necessarily believe that high turnout is not good for the KMT THIS YEAR. This year, I suspect we are looking at a DPP wave, with energized DPP supporters and lackluster KMT supporters. This year, enthused DPP voters will probably turn out en masse, and the overall turnout rate will probably depend on how successful the KMT is in turning out its more begrudging supporters. A moderate turnout of 65% would probably spell disaster for the blue camp. In other words, this year looks to me a lot like 2008 in reverse. Last night, I went to see Su Tseng-chang in Wanhua, right next to the Longshan Temple. There was not too much available space, but it was all completely packed. It is hard to estimate crowds in irregular spaces; my best guess is 3000, give or take 500. The crowd was pretty enthusiastic, which was not terribly surprising. There wasn’t a lot of speaking; most of the evening was filled by musical performances. Su Tseng-chang was the only person to give a full-fledged speech. He didn’t say much new, so I won’t bother to report on it. Tonight I went to Yonghe to see Eric Chu. Well, technically I think we were in Zhonghe. The event was in the 823 Park, which is right on the border between the two cities. The site was extremely small, but it was filled to capacity. Since President Ma was coming, they established a security perimeter. I think there were probably 1000 people inside the perimeter and 500 outside. Again, I couldn’t see the whole crowd from one single angle, so this estimate is not very precise. The crowd was equal to DPP crowds in its level of enthusiasm. This is the first time I have seen that from a KMT crowd this year. Also, I really like events held in Yonghe for one simple reason: everything is in Mandarin! The speakers were really slamming Tsai for her divided attention. As one speaker put it, she wants to be mayor, party chair, and run for president. Chu spent several minutes stressing how important the first mayor of Xinbei will be in establishing all the precedents. He concluded: a mayor has to focus all his attention on these problems, and he can’t afford to divide his attention. It’s a good point; I think Chu could have made it much more forcefully. At any rate, Wu Nai-ren 吳乃仁 didn’t do Su or Tsai any favors by suggesting that they could still run for president. He eventually said a few things about Chu, but he never talked about local issues for Taipei County. I was a bit surprised by this focus on national and party issues. I’ve heard Ma speak several times this year, and he has never been so focused on national issues. I’m really not sure why he shifted gears tonight or whether that will help or hurt Chu. But it clearly is a different message. The event ended at 8:20. They had another event, but that is still quite early to end. I’ve spent this entire election in Taipei and the two Taipei mayoral races have been the closest and most intense all year, so I haven’t paid enough attention to the other three elections. The one I wish I had followed more closely is the race in Taichung. Recall that way back at the beginning of the year, once Jason Hu 胡志強 declared that he would run, the common wisdom was that the race was effectively over and the only question was whether Hu would win by a comfortable margin or a landslide. The DPP couldn’t even find a candidate it wanted to go to war with. Yet here we are, two days before the election, and the DPP has an outside chance of winning. I don’t think the KMT will lose, but it isn’t outside the realm of possibility (the way that the DPP losing in Tainan or Kaohsiung is basically unthinkable right now). Su Chia-chuan 蘇嘉全 has had a fantastic campaign. In these past six months, he has persuaded many, perhaps most people that Hu’s record over the past nine years is decidedly lackluster. He has also managed to present himself as a credible alternative, someone very good at local governance and familiar enough with Taichung to do the job. Su’s campaign is what the KMT was hoping for from Kuo in Tainan and Huang in Kaohsiung. Neither of those two have been able to muster a serious challenge to the DPP. One way to think about this is to think back to the beginning of the year, when the parties weren’t happy with their local candidates in any of those three races. The DPP eventually decided to abandon their local candidate and parachute in a national figure. The KMT seriously considered doing the same thing in both Tainan and Kaohsiung. They did poll after poll with all kinds of different people in those two races, but they never could find an acceptable alternative. Eventually they went with the local candidates. This points to two big failures for the KMT corresponding to the two traditional sources of these parachute candidates. First, many come from successful stints as county executives. Eric Chu is one example. The KMT has lots of former county executives, but apparently only Chu performed well enough to be considered a viable candidate as a mayor of a direct municipality. Second, other parachute candidates come from the national bureaucracy. However, Ma has chosen to staff the cabinet almost entirely with technocrats, not politicians. For example, Su Chia-chuan served as Interior Minister. Ma’s Interior Minister is Jiang Yi-huah 江宜華, a NTU political scientist. The Transportation Minister is also traditionally a politician, but Ma’s Transportation Minister, Mao Chi-kuo 毛治國, is a career bureaucrat. Part of governing in a democratic society is being able to put together the political support to win office and defend your policies once you get there. You need to have some politicians along with your technocrats. But I digress. This post was supposed to be about Su Chia-chuan and his extremely successful campaign. 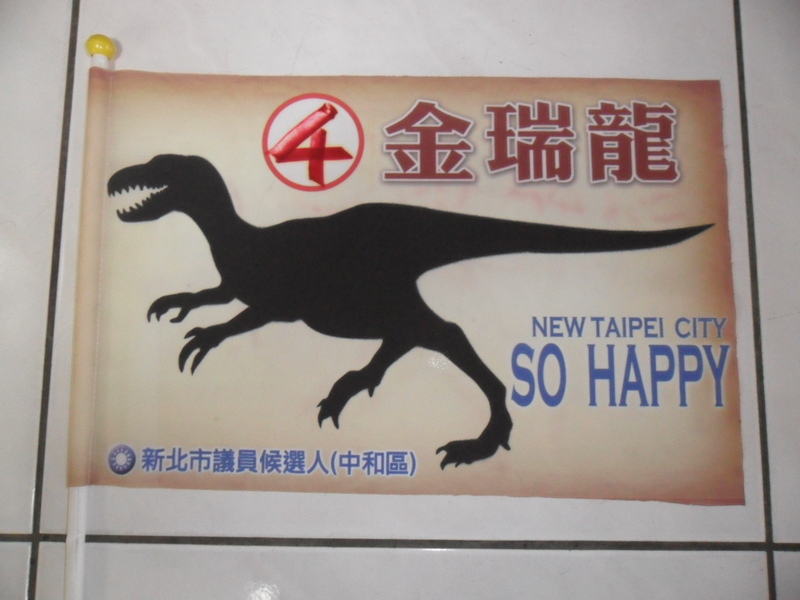 Even without knowing the final result, I think the DPP has to be thrilled with the way things have turned out in Taichung. You are currently browsing the Frozen Garlic blog archives for November, 2010.